This large white oak sits on top of the famous “Indian Mound” on the UT Knoxville Agricultural Campus where thousands of agriculture majors have witnessed its location since around 1904. Following the passage of the Morrill Act in 1862 that established the Land Grant College system across the US the legislature in Tennessee accepted the act in 1867. In 1869, 262 acres along Kingston Pike was purchased for buildings and agricultural research. The Indian Mound and the surrounding Agricultural Campus property was purchased in a separate tract in 1904 and became the home base for the UT Institute of Agriculture 50 years ago. 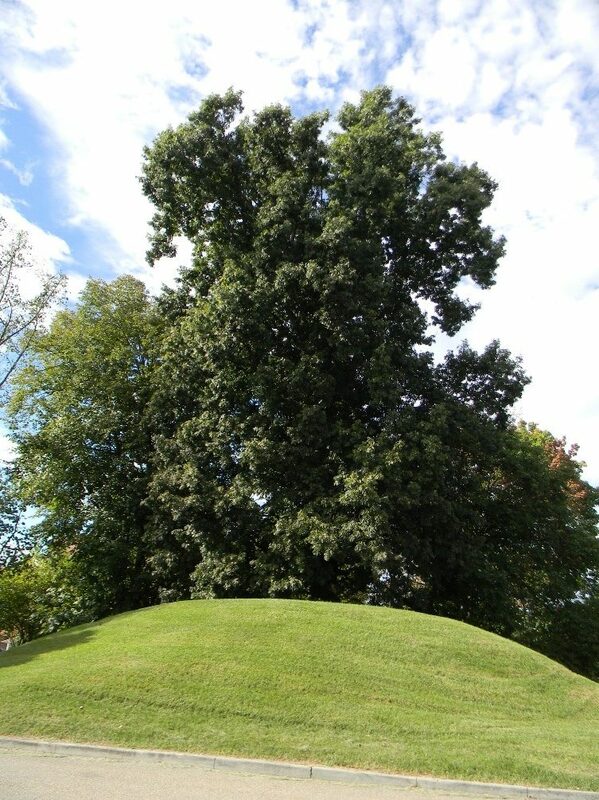 The Indian Mound on which the Morgan Tree resides was originally erected by native Americans in the late Woodland period and was entered into the National Register of Historic Places in 1978. The tree was named after Dr. Harcourt Morgan who was the Director of the Tennessee Agricultural Experiment Station from 1905-1919, President of the University of Tennessee from 1919-1934, and Board Member and Director of TVA from 1934-1946. Acorns from the white oak have been collected by the UT Tree Improvement Program and the seedlings will be incorporated into a genetic test on TVA’s Norris Reservation. Some of the seedlings will eventually produce a seed orchard that will supply the TN Division of Forestry’s Tree Nursery with acorns for reforestation and restoration purposes throughout the state. The Morgan Tree was nominated as a Historic Tree by Dr. Scott E. Schlarbaum, Professor of the UT Forestry, Wildlife, & Fisheries Department.